Jack Namer, Founder, Chairman & Executive Producer: Jack Namer is visionary Entrepreneur with over 20 years’ experience building, developing and managing innovative Telecommunications and Internet Technology companies. A native of Florida and a graduate of the University of Life, he acquired a degree in business and at an early age began building versatile business ventures. In the 80′s and 90′s Namer began setting the stage for a successful career in communications. Today, with the start-up of Eye On South Florida (EOSF), a hyper local website focused on everything South Florida he ventures into the realization of his ultimate vision, a multi-media channel Ethos Media Network with, fresh, fun and focused programming for global reach. This vision comes with the thought that with such a multi-medium platform to share with the world, he could finally produce or acquire the type of programming from independent producers that is conducive to the good will of society, rather than be just another distribution outlet for the type of senseless productions, which have captivated our youth and has created undesirable cultures by promoting undesirable content. Namer says, that he vows to keep an EYE on the communities and produce and promote news and entertainment that helps create a new generation of leaders and not breeders of negative lifestyles. By keeping an EYE on South Florida first, which is his home, he plans to set the stage for the world to see the difference. Nalewaik spent 11 years in healthcare administration for a privately held healthcare corp. specifically in pediatrics for home health and school board staffing. During Nalewaik’s tenure she opened 11 offices and managed a staff of over 400. Won multiple contracts and RFPs for the school boards of Broward, Miami-dade, and Palm Beach counties. The last 6 years Nalewaik has been involved in social media/technology solutions, developing multiple web properties, and studio production/live streaming broadcasting. Nalewaik’s main purpose in development of products or technologies, is to educate and empower coupled with the capabilities of production all the way through to distribution. Nalewaik has consulted for the military, healthcare companies, and media companies. Cameron “Kim” Dawson, Producer & Content Consultant Kim Dawson is a 38-year veteran of the film and television industry based in Orlando, Florida. Along with his production credits (below), he has also served as a Production Executive & Line Producer for Showtime Networks, Trans World International, and “Making the Band” with Trans Continental Companies in a joint venture with ABC and MTV. Kim produced “Teenage Mutant Ninja Turtles I-II-III” for New Line Cinema, “Bobby Jones Stroke of Genius” for Sony Pictures. Kim serves as the Producer and Managing Member for Possibility Pictures, LLC. Kim Dawson has operated SkyDog Productions as an independent production company in Orlando since 1988. SkyDog has engaged in a wide range of activities from providing complete line production services and consultation, to product development, joint ventures and co-productions. Kim is both a line and creative producer with a strong business managerial background, narrative experience, as well as marketing expertise. Kim finished production on the feature film To Write Love On Her Arms, starring Kat Dennings which is based on the true store story that inspired the global social movement To Write Love on Her Arms (www.TWLOHA.com) which will be released by SONY in March 2015. Kim produced Letters to God, which was released theatrically in April 2010. 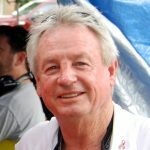 He is in prep on “Racer’s Heart”, a dramatic, action romance about Nascar driver Bobby Allison, which shoots in 2015 for Posse Films as well Payne and Tracey, the true story of Payne Stewart, which is in script stage currently. He has many Feature, TV, and web-based projects in development in a variety of genre including a 1970’s crime thriller titled “Wireman”, a family adventure called “Elephant Wild”, an action adventure “Pieces of 8”, a reality series “Self Defense Alliance”, and animated projects “Flight of the Emu”, and “Magic Feathers”. Kim moved to Orlando to produce the “Mickey Mouse Club” for Disney Channel and produced the first two seasons 1989 and 1990 before producing three Teenage Mutant Ninja Turtle feature films for Golden Harvest and New Line Cinema from 1990 until 1993. In 2004, he produced the feature film Bobby Jones: Stroke of Genius starring Jim Caviezel, Malcolm McDowell, Jeremy Northam and Claire Forlani for Sony Pictures. In 1994 and 1995 he produced 65 episodes of “THE NEWZ” for Columbia Tri-Star Television at Universal Studios Florida. In 1996, he was Supervising Producer for “Tarzan the Epic Adventures” shot in Central Florida utilizing Disney MGM and Universal stages. He was the Coordinating Producer for 3 seasons of MTV/ABC’s “Making the Band” from 1999 to 2001 on behalf of series creator Trans Continental TV. As Executive in Charge of Production and Director of Original Programming for Showtime Networks in Los Angeles from 1980 until 1986, Kim supervised production of various series including “The Paper Chase”, “Steambath”, “Shelley Duval’s Fairy Tale Theater”, “Brothers”, “Comedy on Showtime”, and scores of music, comedy, and variety specials. Kim began his TV career in 1976 with Trans World International and worked up from Associate Producer to Line Producer and Producer on many series including “Games People Play”, “Battle of The Network Stars”, “The World’s Strongest Man”, “The World Series of Poker, “ Challenge of The Sexes”, “Survival of The Fittest” “Superstars” and more. The series aired on ABC, NBC, CBS and ESPN. He was Executive Producer for a series of videos for Walt Disney World Merchandise and has consulted for TEQ Games, LLC in developing immersive educational learning games for high school kids focused on Science, Technology, Engineering and Math (STEM). Kim, 66, lives in Orlando with his wife, Doreen, of 35 years. He has 3 children, Skyler (29), Leah (28), and Cameron (25) and is a 1970 graduate of Williams College with a degree in Political Science. Jeff Barnes has been a professional in the media business for over 20 years. He’s risen from the ranks of cable puller to grip to camera operator to producer and director. Jeff started his professional career as an independent contractor and moved into television news working for local South Florida stations as well as CBS and NBC. From there he branched off into special and creative projects eventually creating and growing his own production company. Jeff has won numerous awards including Emmys and ProMax Gold. Robert M. Russell Jr, Financial Advisor Robert M Russell Jr is an executive with worldwide experience in the areas of Sales, Marketing, Technology, and Governance. He currently services on the board of directors of several companies including Healthcare, Government, and Technologies. Mr. Russell’s personal and professional relationships at DOD include C Level contacts in the United States Navy and The United States Marine Corps. Mr. Russell also has very senior level contacts world wide within the Intelligence Community to include The Federal Bureau of Investigation. Mr. Russell serves as the CEO “in residence” for the University of Strathclyde in Glasgow, Scotland UK where he identifies and pursues emerging technology opportunities internationally to secure funding from the worldwide investment community and to commercialize these technologies with industry leaders such as GE , Rolls Royce , and The Wood Group. Mr. Russell previously served as the CEO at ITA Holdings a holding company for import/export technology. And Axeda Systems formerly listed as Ravisent Technologies Inc. a software and intellectual property licensing company. Prior to Axeda Systems, Mr. Russell served as the CEO and President of Thomson Learning, Lifelong Learning Group, a division of The Thomson Corporation. Mr. Russell led his market group to record breaking financial results by focusing on integrated marketing and solution selling and driving the businesses to create web-enabled revenue-producing products. Mr. Russell is qualified to serve on any public board with requirements to adhere to the Sarbanes–Oxley Act of 2002. Prior to Thomson Learning, Mr. Russell served as the President of the Construction Information Group for the McGraw-Hill Companies where he achieved multiple year revenue and profit growth. As a result of his accomplishments Mr. Russell received an “Excellence in Management” award from McGraw-Hill Chairman Joseph Dionne and was recognized for demonstrating “exceptional leadership and marketing savvy.” Prior to McGraw Hill, Russell spent 20 years as an executive at Digital Corporation and was a pioneer in profitable web businesses and Systems Integration. Mr. Russell holds a Bachelors Degree from Ohio University and is a graduate of the Executive Program (YEMP) at Yale University School of Management. Success,”. Andrea speaks candidly about her personal journey into the entertainment industry and how she was drawn into the sports sector specifically. It’s undoubtedly where she found her niche, but she learned quickly that preserving her values and trusting her intuition could challenge the status quo and earn invaluable respect and notoriety. Karyn Turk, Correspondent: is one of social media’s most authentic personalities. She is a constant source of information regarding community, business, politics, non-profit advocacy, and issues that impact modern women. She was Mrs. Florida, 2016 and is a regular fixture on the Palm Beach social scene. She dedicates a great deal of time to non-profit endeavors and charitable initiatives. Karyn is the face of an international skincare line and is internationally recognized. She has been described as “someone who can instantly change the energy in a room to positive”. She really is a true Palm Beach Insider. Beyond her model exterior, she has held executive level positions with major media outlets, including CBS. After her successful climb of the corporate ladder; Karyn was excited to get back in front of the camera. True to her New Jersey roots, she is a straight shooter who gets right to the point. She is passionate about sharing stories and topics that resonate with her audience. Karyn enjoys hearing different viewpoints on today’s headline. She is always game to grab a camera for an interview. She is sometimes known for her talents in debating tough issues and has a real knack for creating impactful dialogue. Karyn also appears on national news segments and is a internationally recognized journalist. This year, Karyn is ranked at #201 of the Top 250 Most Influential Business Journalists in the World by Richtopia. Last year, she graced the covers of national magazines, including Stepmom magazine and Country Club Living. When she isn’t busy traveling between L.A., N.Y.C. and D.C., she is a Florida girl at heart, and embraces living on one of our beautiful south Florida beaches. Molly Dare Hillenbrand, Correspondent is known for her fun and outgoing presence on camera as well as being a PR powerhouse. As owner of hillenBRAND Media, which focuses on PR for luxury brands and businesses, along with Allure of Travel which showcases the best in luxury resorts and fashion, she is the go-to connoisseur in up and coming high end lifestyle. Molly hails from Princeton, New Jersey and has called both New York City and Chicago home before moving to South Florida in 2016. She started her professional career at Goldman Sachs in NYC, moved on to the PR world in the music industry and after her two beautiful children were born she opened two successful luxury children’s clothing stores in NJ and Chicago. Her greatest love is her two children and she is a passionate philanthropist spending many years fundraising for Operation Smile and on numerous committees for local charities. Molly is a staple in the south Florida social scene while dividing her time between New York, Chicago and LA – always on the hunt to bring you the best of the best in up and coming luxury brands. Evan Golden, Correspondent: You may have seen Evan in national TV ads for Ovaltine, reciting that famous line, “More Ovaltine, please!”, or more recently for his lead role on the reality show Ivana Young Man, hosted by Ivana Trump. A true Florida boy, born and raised, Evan is as passionate about the community as he is entertaining them. His love for the camera began as co-host of the Marjory Stoneman Douglas High School news program, where he found a medium to reach out to his fellow students. While attending the University of Central Florida as an Interpersonal Communications and Film major, Evan interned at ABC network affiliate WPLG, gaining invaluable experience connecting with the community. Soon after graduation, he hosted local entertainment shows in the Miami and Orlando areas, as well as a pilot for VideoFame, before being given his own program A-List TV.Evan went on to star in a number of TV roles, from an MTV special with Carmen Electra, to a Prom Special on The WB (now CW), to Shut Up and Model, Trigger Happy TV, and The Mandy Moore Show. He’s even had a successful stint as print model for a number of major national campaigns, was named Universal Studios Orlando spokesmodel, and appeared in commercials for international brands like Disney and Rockstar Energy Drink—a long way from his Ovaltine days! Oscar’s Delmonico’s Restaurant, New York. Banks. Is a celebrity chef that is featured on shows such as “Dr. Star Darryl “Chocolate Thunder” Dawkins. 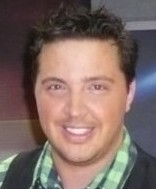 Max also is a featured, Lifestyle Expert and Celebrity Chef/Food Expert for both eHow.com and About.com. by Josh Sapan President and CEO of AMT Network Inc.
in AMERICA 2010, 2011, 2012 and 2013. Max resides between Miami, LA, NYC, CT and Florence, Italy. Jessica Koussevitzky Correspondent is no stranger to the spotlight. As one of the main cast members on VH1 prime time reality series “You’re Cut Off”, Season 2, Jessica became well known nationally from the show’s huge viewership. Jessica has also been featured on Oprah’s All-Stars “20 Questions for 20 Somethings”, as a guest on VH1’s “Top 20 Countdown”, as a celebrity “Familiar Face” for the NOH8 campaign, and she’s been an active member of the Hollywood Knights Charity Celebrity Basketball Team. Jessica’s appearances include “Fashion’s Night Out” in Beverly Hills, the “Operation Smile Gala” honoring Harrison Ford at the Beverly Hilton, and as a featured panel member reality star at the “Reality Rocks Expo”. Jessica has been featured as a celebrity host at events such as the “Operation Smile” South Florida gala, a television premier party at District 36 in New York City, an evening at Opium at the Hard Rock Casino in Hollywood, Florida, a television premier party at Club 50 at the Viceroy Hotel, and a premier gala at Kitchen 305 in Miami Beach. She herself has been a red carpet V.I.P. to events that include the Super Bowl, The Grammy’s and numerous entertainment events in Los Angeles, New York and South Florida. Since joining the Eye on South Florida Team, Jessica has covered events such as the annual Ft. Lauderdale Winterfest Boat Parade, the Fearless MS Fashion Luncheon, the Tribe Vodka Latke 2013 and the Winterfest Black Tie Ball. Jessica was born and raised in South Florida, and is a graduate of the University of Central Florida. She received her Bachelor of Science at the age of twenty-one, majoring in Legal Studies. 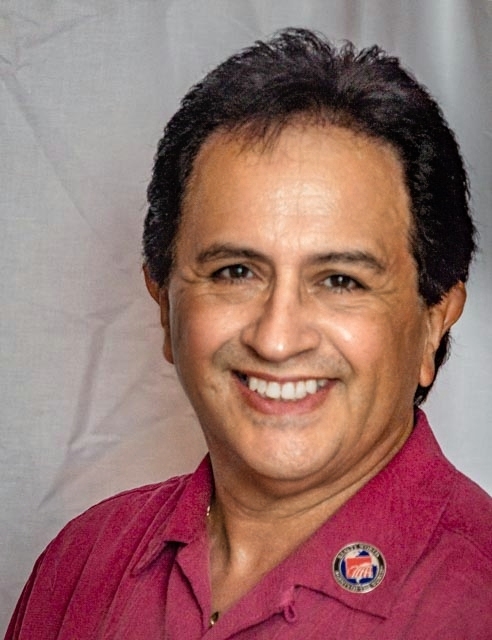 Edwi n L. Crammer, Correspondent & CPA– President & Founder of Edwin L. Crammer, PA a Florida chartered Professional Association, providing Accounting and Tax services for a number of small and varied businesses in South Florida and ten other States since 1983. His office is located in Sunrise, Florida. Accounting is his second career having started his professional life working in New York in the Field of Advertising. Working in the Advertising field he was employed at several small Advertising agencies in the city of New York, during the so called “Mad Men” era. During that same period he was also employed for four years with Vogue Magazine, as the head of their Promotional Advertising department. Born in England he emigrated as a young boy with his parents to the United States and grew up in Brooklyn, NY. Along the way he married a young girl from Hillside, NJ and spent the next 15 years residing in New Jersey before moving to Florida in 1977. Edwin earned his Bachelor and Master’s degrees in Accounting, from Nova Southeastern University, prior to sitting for the CPA exam. Edwin has three children, the eldest is employed with him in his Accounting Practice. Mr. Maville is a telecommunications executive with over 35 years experience in broadcasting, 20 of which has been at the director, executive level. He has built several digital stations and converted several stations from single channel broadcasting to multicasting operations. He has consulted on corporate purchases and advised on News operations. 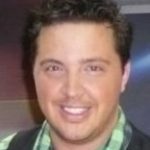 He holds an undergraduate degree in Communications and an MBA from Syracuse University. He and his wife reside in Boca Raton, Fl. Les Morgenstein – Born in Brooklyn NY, Les proudly served his country in the US Army at Ft Gordon and Ft Benning, Georgia before being shipped overseas to Stuttgart Germany. He served as a Sergeant in the Military Police. While assigned overseas, Les, besides his police duties, became the head basketball coach for the US Army girls’ basketball team. Upon Les’ return to the US, he began his law enforcement career in 1970 with the New City Police Department. He was a highly decorated officer and rose to the rank of Detective. He was shot in the line-of-duty in 1978 and was awarded the coveted Police Combat Cross along with the Silver Star from the Police Hall of Fame by Congressman Peter King. In 1980, Les started his career in broadcasting at WLIW/WNET in New York. First working as a volunteer for the nightly news show and working his way up to staff field videographer and studio camera operator. Les travelled around the world, Italy, Turkey, Greece and was responsible for over 65 PBS documentaries. 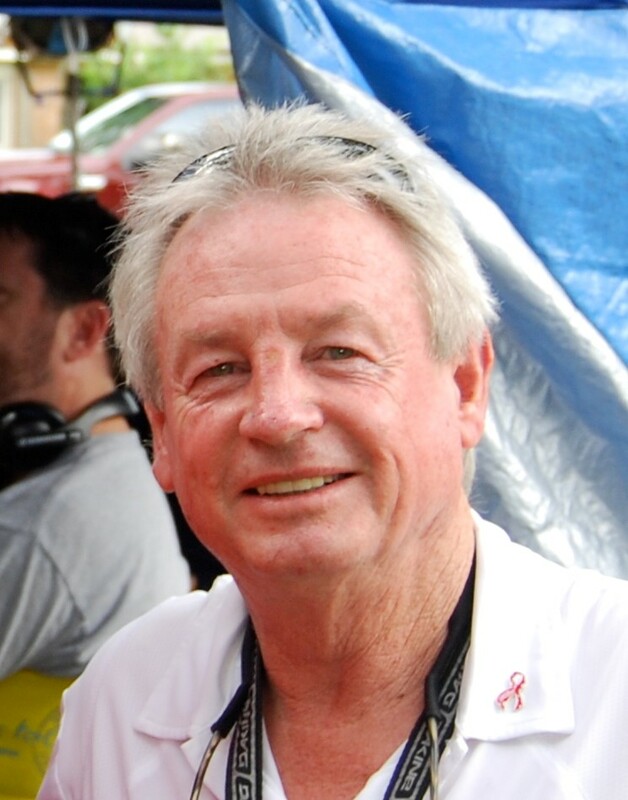 Several of his documentaries have won him many Telly Awards, Gold Aurora Awards and 2 Emmy’s for his camera work. Les was also recognized for his hand-held camera work for the NY Knicks, NY Islanders along with the Empire State Games. After almost 24 years at WLIW/WNET, Les and his wife Jill, moved to Florida where he was hired by WXEL TV as their Field Production Supervisor. He was responsible for hiring and training all new employees in all aspects of field production including but not limited to, lighting, audio and camera operation. Les also had the responsibility of training new hires in all aspects of studio operations. In 2010, Les and Jill moved from Palm Beach County to Lake County in Central Florida where he took on the role of Guardian Ad Litem for the State Attorney’s Office where he is responsible for investigating cases of abused, abandoned and neglected children. He is currently a licensed Private Investigator for the State of Florida. Dr. Steve Chan is currently a Research Fellow at the Massachusetts Institute of Technology (MIT) Department of Comparative Media Studies and was also a Research Fellow in its Science Writing Program. Previously, he led an MIT Engineering Systems Division (ESD) team, which collaborated on a film that was feted at the Sundance Film Festival (one of the largest independent cinema festivals in the world), an MIT School of Engineering team, which was honored as a nominee for the Webby Awards (the leading international award honoring excellence on the Internet) in the Schools/Universities category, and served as an advisor to the MIT Media Lab’s OpenIR (a crowd-centric web venue); he had also led Harvard Kennedy School’s JFK Forum Archive collaboration with the Library of Congress’s National Digital Information Infrastructure Protection Program. He is a graduate of MIT and Harvard University.